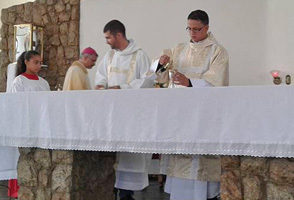 In a ceremony on May 29 at Belo Horizonte, Brazil, Lauro da Silva Ferreira SM was ordained to the diaconate. Lauro is the fourth graduate of the Marist international theologate, Casa di Maria, Rome, to receive major orders in recent months. Pictured are scenes from the ceremony at the Marist parish of Our Lady of Aparecida. 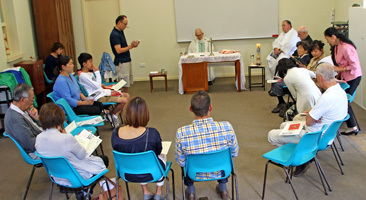 International and interstate Marists were part of the MLA (Marist Laity Australia) seminar held at Church Hill and Hunters Hill, May 28-29. 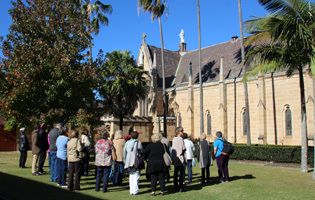 After a day of talks and sharing at St Patricks, Sunday's progrfam featured tours of Marist sites led by historian-archivist, Fr Peter McMurrich SM (Villa Maria scenes on this page) followed by visits to St Joseph's College and the Marist Sisters, Woolwich. 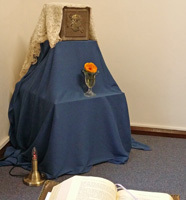 Above: Participants gather by the portrait of Society of Mary Founder, Ven Jean-Claude Colin in Villa Maria monastery dining room / Villa Maria tour included the historic mission cemetery. Below: In Holy Name of Mary church. | At St Peter Chanel chapel. 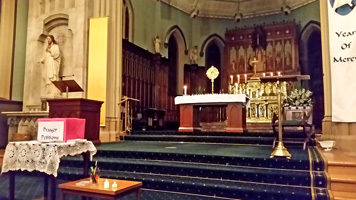 Sydney's city-centre church of St Patrick's heralded the Solemnity of the Body and Blood of Christ with a "Night with Christ" on the evening of Sat, May 28. In the quiet of the much-loved Eucharistic shrine were opportunities to approach the Blessed Sacrament closely, to leave prayer petitions and to experience the Sacrament of Reconciliation and Benediction..
From Rome, Marist seminarian, Tom Kouijzer SM, reports on the May 19 event remembering and honouring Fr Jean Coste, Marist historian and reknown archaeologist, with awards presented by Rome's Tor Vergata University. "Apart from his work as historian of the Society of Mary Fr Coste was a famous archaeologist and specialist in the history of Lazio. 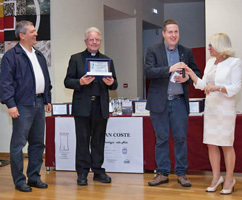 "These awards serve to encourage young people in Rome to excel in both their school studies as in morality. 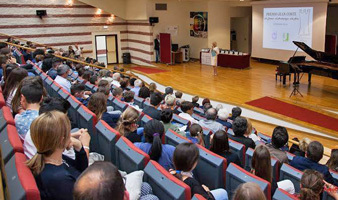 The prize, organized by the Association “Roma Fuori le Mura”, is supported by both the Marist Fathers as by the University of Roma Tor Vergata." 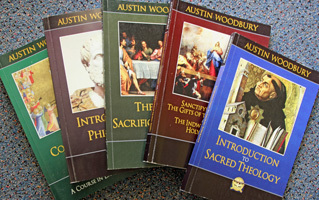 The philosophical and theological texts of Dr Austin Woodbury SM are being published in book form. Grandnephew of the "Doc", Matthew Woodbury, has begun to publish copies of his famous “texts”. So far five of the shorter courses and writings have been printed. Anyone interested may contact Fr Paul Glynn SM (tel 02 9844 2219) for details. 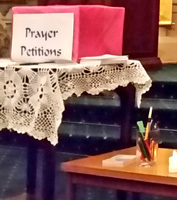 7:00 pm - 8:00 pm : Silent candle light prayer (Reconciliation available). 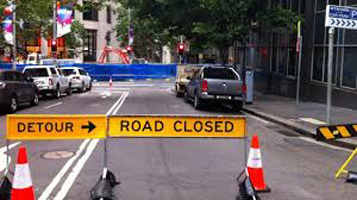 Light rail roadworks in Sydney's CBD will prevent the annual 'Corpus Christi' procession from taking place from St Patrick's, Church Hill to St Mary's cathedral. In its place local celebrations and processions are being encouraged throughout the archdiocese. At St Patrick's itself will be held a "Night with Christ", evening devotions arranged by St Pat's Young Adult group on Sat, May 28, eve of the Eucharistic Solemnity. 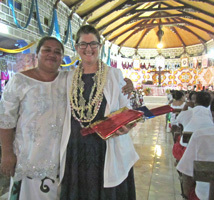 Kristin Young, daughter of Hunters Hill parishioner, Marie Young, has just returned from the Pacific islands of Wallis and Futuna where she joined the celebrations of the 175th anniversary of the martyrdom of St Peter Chanel. Kristin reports: "Thanks to the help of Fr Brian Wilson from Villa Maria, who himself has a long association with the Oceania Province, I was able to meet the Bishop of Wallis and Futuna, Mgr Ghislain De Rasilly, and to participate as one of the many pilgrims attending the celebrations. "I was glad to be able to carry the good wishes of the Villa Maria Marist community to Futuna and bring back stories, photos and small gifts to share on my return. Few Australians visit Wallis and Futuna so this really was a special occasion." Re-enactment of the martyrdom / Solemn High Mass on St Peter Chanel's Day. 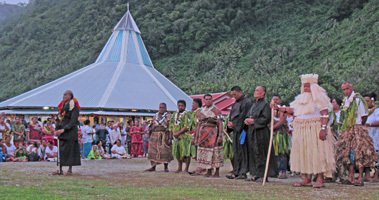 Tongan Cardinal Mafi presided with bishops and priests from all over the Pacific. 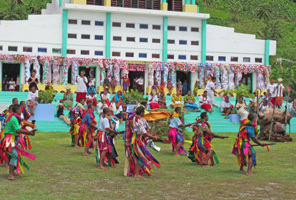 Festive dancing near the basilica of Poi / Pilgrims carry to relics of St Peter Chanel from the shrine at Tamana to Poi. 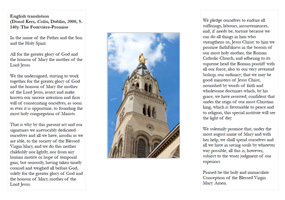 Anticipating the celebration of its worldwide bicentenary, the Fourvière Pledge is being translated into multiple languages. The Pledge - to form the Society of Mary - was originally made by the Marist aspirants at Lyons, France, in the shrine of Our Lady of Fourvière on Jul 23, 1816. 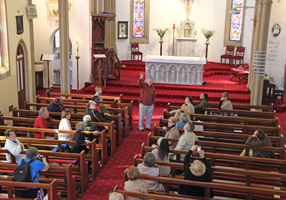 Marist Family members in Australia will join Marists throughout the world to celebrate the bicentenary event. Australian Marist, Fr Tony Kennedy SM, has been appointed to lead the international Colinian Period of Renewal in 2017. Based at La Neylière, France, Fr Tony, will be assisted by Fr Ad Blommerde and other confrères at the iconic Marist site in the five-month program to commence next March. 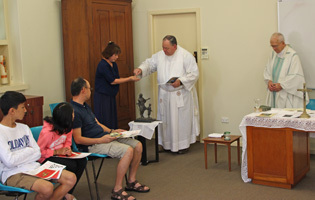 Fr Tony is present vice-superior of Marist College, Suva, and a key member of the Oceania Province formation team. Congratulations on this important appointment, Fr Tony! 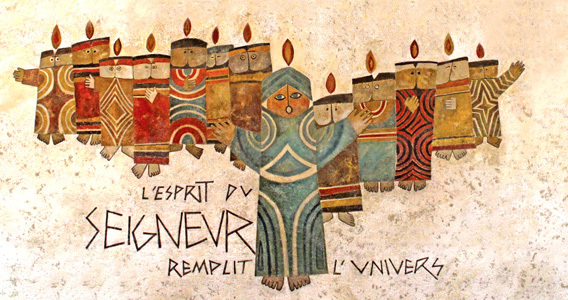 La Neylière, France, site for the 2017 Colinian Period of Renewal / .. in winter when Fr Tony will arrive in Jan 2017. Brrrr ! 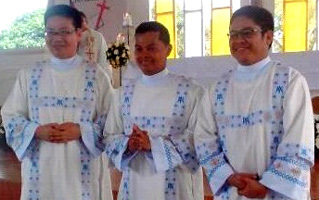 From Davao, Philippines, maristasia.org reports: 'Three members of the District of Asia who recently celebrated their perpetual profession of the evangelical vows are now deacons. A gift received recently in Sydney from the Catholic people of Nara Prefecture, Japan, expressed gratitude for the ministry of the Marist Fathers for over sixty years. 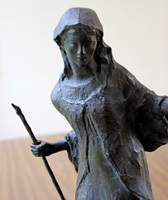 A bronze statue, replica of 'Our Lady of the Journey' in the church of Takada, was blessed by Marist provincial, Fr Bob Barber SM, during the monthly Mass for Japanese Catholics at Hunters Hill. Three former missionaries in Nara were present: Frs Paul Glynn, John Hill and Sid Nugent. 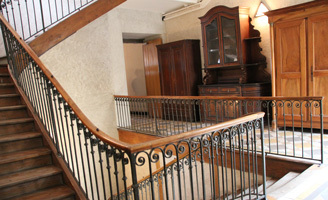 Click here for the Marist Sisters'new web site. The attractive site reports on mission, ministry and happenings throughout the Marist Sisters' world. Oceania Marist Provincial, Fr Ben McKenna SM, attended week-long celebrations on the island of Futuna marking the 175th anniversary of the martyrdom of St Peter Chanel on Apr 28, 1841. 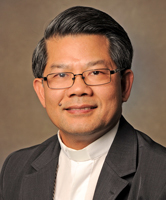 His Holiness Pope Francis has appointed the Most Reverend Vincent Long Van Nguyen OFMConv DD, as the fourth Bishop of the Diocese of Parramatta. The new Bishop of Parramatta was born in 1961 in Gia-Kiem, Vietnam. 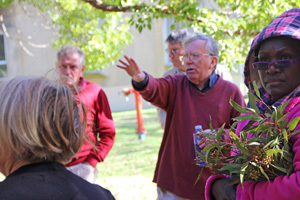 He and his family came to Australia as refugees in 1980. 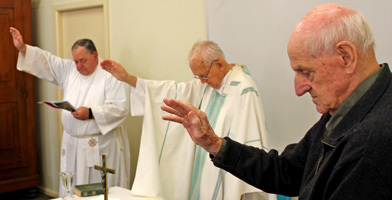 He has been Auxiliary Bishop of the Archdiocese of Melbourne since 2011 and succeeds Archbishop Anthony Fisher in the fast-growing Parramatta diocese, fifth largest in Australia. Superior-General of the Society of Mary, Fr John Hannan SM, has sent a letter to Marists formally convoking the next General Chapter to be held in Sep-Oct, 2017. 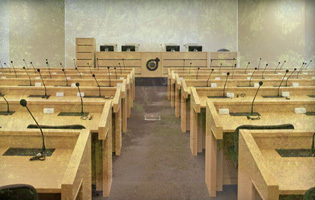 Venue for the Chapter will be the Divine Word Missionaries' 'Centro Ad Gentes', at Nemi, a village in the Alban Hills 35 Km from Rome, Italy. 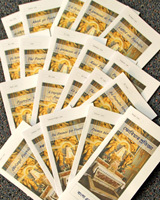 Text of the letter of convocation is available at 'Members only' section. 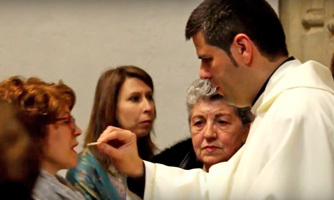 In a ceremony on Apr 30 at the cathedral of Alcala de Henares, Spain, young Marist, Daniel Fernandez Alcaraz SM was ordained priest, along with four other deacons. Dr Julie Thorpe's book, 'Aquinas Academy 1945-2015, A very personal Australian story', was launched at St Patrick's, Church Hill, on May 01. 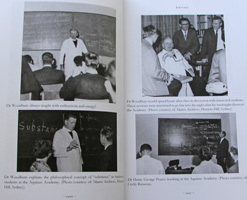 Published in the Marist Series by ATF Press, the book was launched by Geraldine Doogue. Academy Director, Fr Michael Whelan SM (pictured below) spoke at the launch in St Patrick's crypt in the company of present and past Academicians and friends. Click here for Academy web site. 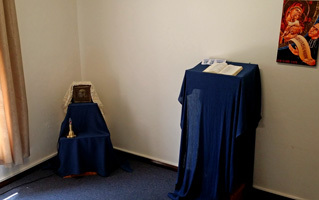 Chanel House in the grounds of Villa Maria monastery, Hunters Hill, NSW, is home for several Marists of the community who now have a new place for quiet prayer and reflection. 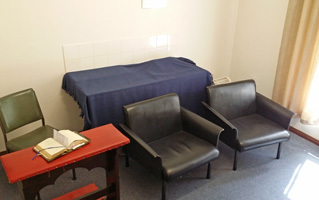 One of its rooms has been fitted out as a simple prayer room, with the Blessed Sacrament reserved in a small tabernacle, gift of the Marist Sisters. 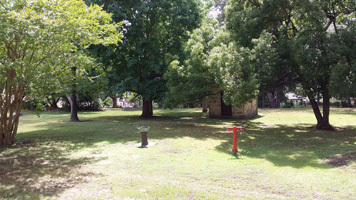 The prayer room looks out on to the picturesque grounds of Villa Maria monastery and the Peter Chanel chapel.